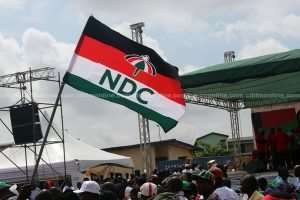 The National Democratic Congress (NDC) will on Saturday, May 25 elect regional executives for the six new regions. It has also announced April 11, as the date for the opening of nominations for the positions. In a release signed by the party’s General Secretary, Johnson Asiedu Nketia, the decision was arrived at a National Executive Committee (NEC) meeting last Friday. The statement also outlines the guidelines and timetable to ensure a successful selection of the regional executives. Ghana now has six new regions – Western North, Oti, Ahafo, Bono East, Savannah and North East regions following a referendum in December. President Akufo-Addo has also presented the Constitutional Instruments to give legal backing for the regions and announced their capital. “The National Executive Committee (NEC) of the NDC in a meeting held in Accra on Friday 5th April, 2019, has approved the guidelines to govern the selection of Regional Executives in the regions affected by the creation of the new regions. The following timetable shall apply in the conduct of the regional elections in the four (4) parent regions and the six (6) newly created regions to fill the vacancies. Meanwhile, the governing New Patriotic Party (NPP) has also scheduled May 4, 2019 , to elect executives for the newly created regions in the country. General Secretary of the party, John Boadu in the statement said this was decided on during the party's National Executive Committee (NEC) meeting held on Tuesday, March 12, 2019, at their headquarters. “The NPP shall, pursuant to Article 18 of the Party's Constitution and notwithstanding any provision to the contrary, hold an Extraordinary Regional Annual Delegates Conference on May 4, 2019, to elect officers to occupy vacant regional executive positions, occasioned by the recent regional reorganization,” a statement signed by the party's General Secretary, John Boadu noted. The NPP earlier directed its current regional executives to oversee the six newly created regions until substantive executives are elected to fill such positions.